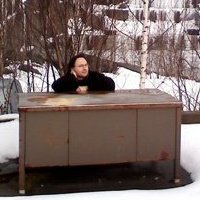 I'm teaching a course called "Writing and the Creative Process" right now, and one of the things I would like to offer the students is a list of tools I've found actually helpful when writing -- computer programs and reference books, mostly. I thought it might be fun to open up the conversation and get some recommendations from people other than me, since my own practice is peculiar to, well, me. In some ways, no specific tool is essential to writing -- I've written perfectly well with an old pencil on pieces of scrap paper, and I've written terribly with expensive hi-tech gadgetry. But there are a few tools that have made me happy and, I think, generally increased my productivity. Dropbox, for instance, has been really useful for me because I inevitably forget to email important documents to myself and then get to work and discover important things have been left on the wrong computer. With Dropbox, I've got access to every document on my primary computer, and because I figured out how to make it all invisibly update*, I don't even have to remember to send stuff to myself anymore. For actual writing, though, I rely on two programs primarily: Bean and Scrivener. 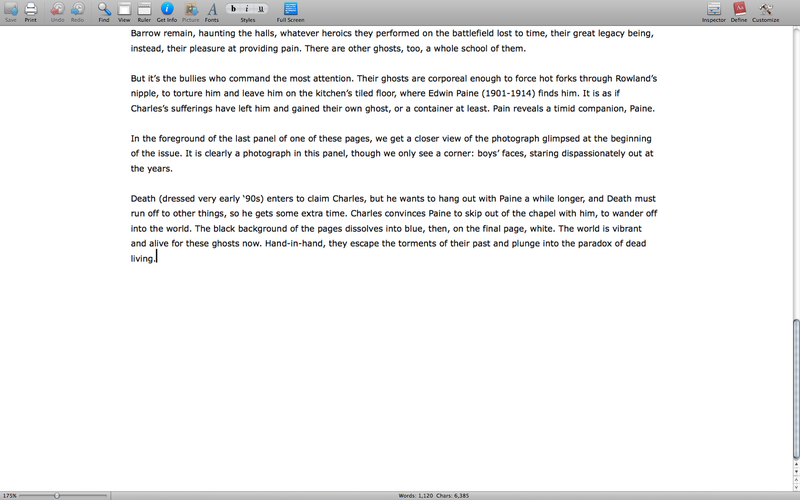 Scrivener also has a nice full-screen mode, and I use it a lot, but I find Scrivener's many options cumbersome for just plain ol' writing. When something requires shifting between various files, then I use Scrivener. I also use it to organize things -- for instance, thought I usually write my Sandman Meditations columns in Bean, I have a Scrivener project that collects them all, which makes it really easy to go through them. Or, I've been working on a novel-like-thing for almost ten years now, and everything about it has changed over that time except its title, and I have a Scrivener project that collects every version and every note, making the whole near-decade of mess and false starts feel somehow manageable and less like a colossal waste of time, so perhaps in another ten years I'll be able to finish it. For academic writing, Scrivener is a godsend -- I'm working on an essay right now that involves research from all sorts of articles I have as PDFs or HTML or text files (and even a video), and I can keep it all together in Scrivener, immediately accessible while I'm writing. 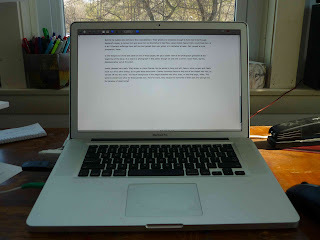 I've even used Scrivener for non-writing organizations -- when I was teaching 5 totally different high school classes a few years ago, I kept all the lesson plans in Scrivener. I still use Microsoft Word occasionally (the 2004 version, which seems to me the last time Word was actually functional -- I use the latest one on a PC in my office at work, because that's what the University installs, and I loathe it). Mostly, I just use Word when I need to pay attention to formatting, because I've used the program so much over the years that I know its formatting system best. 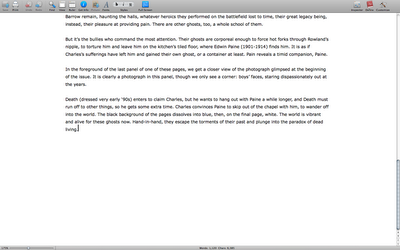 When I occasionally write a screenplay, I use an old, clunky, buggy version of Final Draft. (I haven't tried Scrivener 2.0 for scripts yet, though I'll probably give it a shot.) I've used the free screenwriting program Celtx, and have done some work in their premium Studio site for a production company I've been working with. Though I like everything about Celtx except for one thing, the one thing is a deal breaker for me when it comes to writing a screenplay: Celtx does not have a WYSIWYG editor that includes accurate page breaks, and I'm too conditioned to write scripts by pages that if I can't see exactly where the page breaks are when I write, I can't write a script. (In Celtx, you can see page breaks by shifting to a different, uneditable view.) I have no love for Final Draft, to put it mildly, but I could write a script more easily on a manual typewriter than on Celtx because I'm so reliant on seeing pages. If you don't absolutely need to see the pages as you write, Celtx is pretty great. The reference books I open most frequently are two: The Merriam-Webster Dictionary of English Usage and the 1946 edition of Roget's International Thesaurus published by Thomas Y. Crowell Company. The first's utility should be obvious -- just click on that link, which goes to a complete online version on Google Books. The second, though, might seem a bit strange. Why an out-of-date thesaurus? Blame Stephen Sondheim. Somewhere -- and I have no idea where -- I heard him say he uses a thesaurus from about 1948, because thesauri that are much older don't have enough words in them, and thesauri that are much younger either have too many words or not enough of the useful ones. I have found this to be true. It's easily my favorite reference book. Not only is it full of great words (and just the right amount of them! ), there are also quotations on the bottom of the pages showing some words in use. And the physicality of the book is tremendously pleasant -- solid, with strong pages and binding, but not especially heavy. There are other books I like quite a bit, but don't consider essential. For instance, I'm very fond of Chapman's Thesaurus of American Slang -- dictionaries of slang are common enough (I think I've got three or four), but a thesaurus of slang is, I find, even more useful. And an awful lot of fun to read. We might be tempted to say that we learned to use he-him to refer to male beings, she-her for female beings, and it for things that could not be classified as male or female. But this gets the story backwards. We did not first receive instruction in biology and then proceed to use the pronouns accordingly. Instead we began to use the pronouns as we heard other people use them, and this use of the pronouns helped us to sort the world into "males," "females," and "things in neither grouping." For anybody like me, who lived through traditional parts-of-speech grammar drills during elementary school, Roberts's approach is a revelation, and will help you see the language in some different ways, which is really important, I think, for a writer's flexibility. Contemporary linguistics can be, I find, confusing in its many definitions, but Roberts is pretty clear once you grasp his basic terminology, and it's a terminology that is far more practical than the traditional approach, which is confusing because it's so inadequate to the complexities of the language.